All passengers for this train are advised to arrive at their boarding station 30 minutes prior to their departure time. Participants on the train will receive sandwich boxes on the outward journey and a cream tea on the return journey. Complementary wine and soft drinks will be available throughout the journey. Photographers and observers are reminded they must not trespass on either the KWVR or Network Rail railway. Doing so is dangerous, illegal and will cause delays. There will be a heavy presence of security staff patrolling the lineside between Oxenhope and Carlisle. Holders of KWVR Photo Permits will be allowed trackside on the KWVR with the normal access restrictions applying. It is essential that anyone not carrying their permit AND membership card will be evicted from the Railway’s land. All the arrangements are in place and all we need now is one large green locomotive. Full English Breakfast: 2 bacon, 2 sausages, egg, mushrooms, beans, tomatoes, black pudding. Sandwiches, Quiche and assorted cakes, biscuits and confectionary … and of course soft drinks, teas and coffees. And for those wanting something a bit stronger, there will be a bar on site serving real ale, wines and spirit. For all the information regarding the Flying Scotsman’s appearance at Ingrow, visit the Flying Scotsman at Ingrow West page of the website. For access to the footplate and an interpretive talk you will need a ticket for the ‘Flying Scotsman Experience’. For more information visit the ‘Flying Scotsman Experience’ page of the website. This must be booked in advance but we still have tickets available for this so don’t delay book straight away before all the places are sold. All the seats on ‘Flying Scotsman trains on this day are taken but we would like to bring to everyone’s attention that Northern Rail services serving Keighley, will be the subject of industrial action on that day. We are therefore advising all passengers to either change their mode of public transport or come to the Railway by car. Special car parking arrangements will be available during ‘Flying Scotsman’s visit. 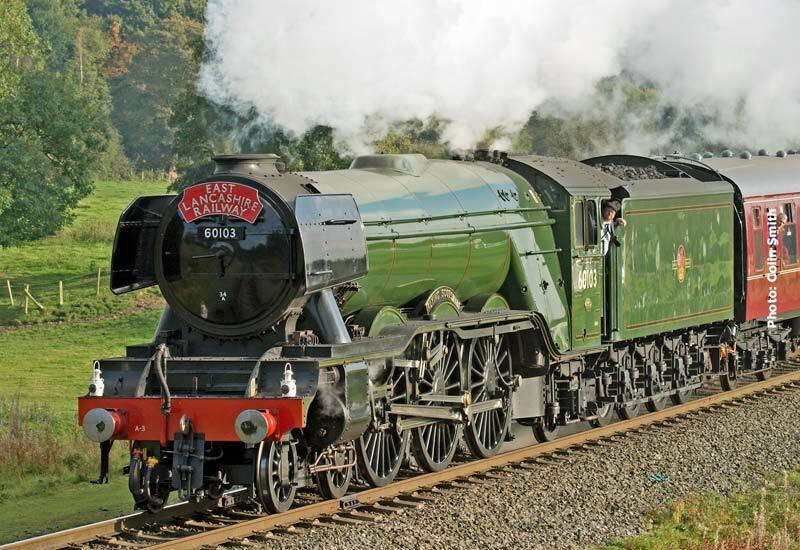 Visit the ‘Flying Scotsman on the KWVR’ page of the website for further parking information.